IgM monoclonal antibodies have become increasingly favorable for their use as therapeutic tools, while remaining popular for their research and diagnostic applications. 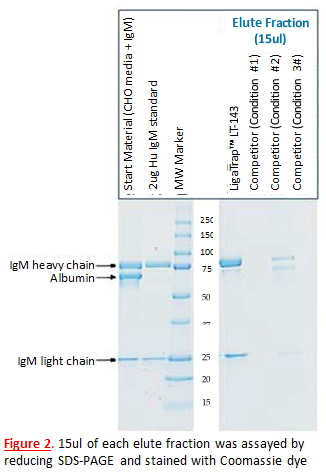 Protein A and G chromatography continues to lead the life science industries for the purification of IgG, however Protein A/G proves unsuitable for IgM purification proves. 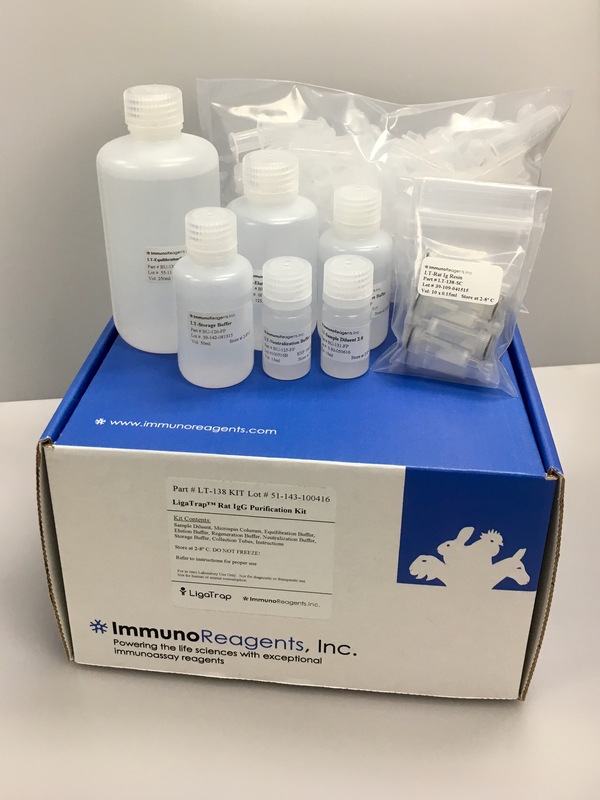 In addition to increased yields and purity levels, LigaTrap® Human IgM Purification Resin (LT-143) address many of the shortfalls related to standard affinity ligands including challenges with proteolysis and repeated sanitization associated with other common purification methodologies. 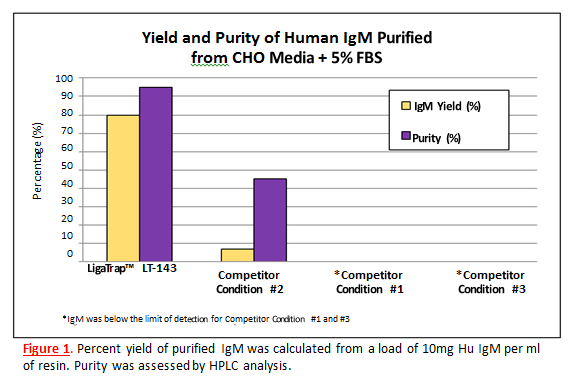 Human IgM was purified from CHO media containing 5% FBS using and a leading competitor of IgM purification resin. Standard chromatographic conditions were used for the LigaTrap® LT-143 resin. Three different manufacturer recommended binding conditions were used for the leading competitor of IgM purification resin.